Mobile-friendly. Over 30% of WCCLS website visitors come by mobile devices. With the new website, no matter if you’re using a desktop or a mobile phone, content will automatically resize for easy reading. Clean and uncluttered. 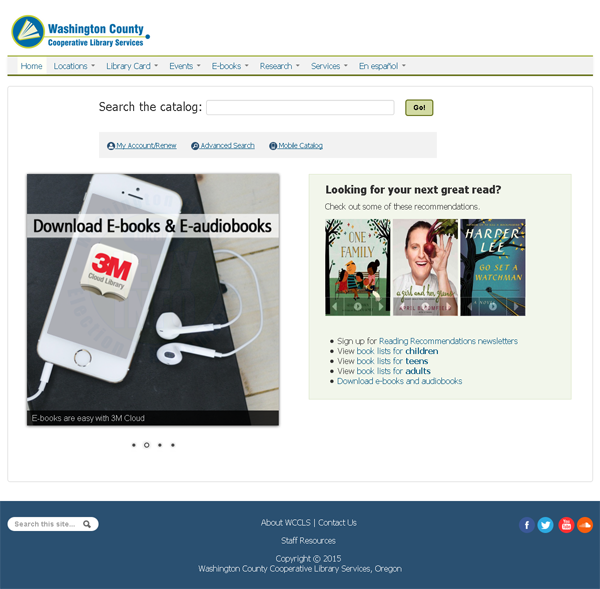 The new website was designed by the WCCLS in-house web team, with a focus on simplicity and accessibility. Easy to navigate. The web team used input from library users through in-person and online studies (more than 300 responses—thank you!) to make it easier to find the content you need. No interruption of service is expected, and the online library catalog will not change. We look forward to serving you better through the new wccls.org!